The course venue is located on the lower floor next to the undercover carpark at the rear of the building. CAR – FREE parking is available at the Capalaba Sports Club. There is a 30 minute lunch break for courses running over 4 hours. You are welcome to bring your own lunch. Alternatively, there is a number of cafes and coffee shops in the area, or you can use the Capalaba Sports Club facilities. Capalaba is the second most populous suburb in Redland City, Queensland. The suburb shares a border with the city of Brisbane, and many Brisbanites consider it a gateway to the coastal Redlands region. Its residents also enjoy quick access to many conveniences as the suburb has a major bus station, large shopping malls, and industrial zones. Because of its advantageous location and ease of access from commercial and residential areas, Capalaba is also a good place for learning skills like first aid. Australia Wide First Aid hosts regular first aid training courses in Capalaba. This way, students who are coming from Brisbane and the surrounding suburbs can reach our training location without taking much time or traveling away from their home or place of work. A Recognised Training Organisation, Australia Wide First Aid (RTO No. 31961) aims to make quality first aid training available to everyone. We do this by offering streamlined 1-day first aid courses and making use of online assessments and face-to-face trainings. All our classes are conducted by highly skilled and experienced trainers and assessors, and we also comply with the VET Quality Framework to ensure that our students are taught in a consistently professional manner. After completing a course and passing the assessment, our students will get a nationally recognised Statement of Attainment and earn Continuing Professional Development (CPD) points that they can use to improve their career options. In the event of injury, illness, or medical emergency, conducting first aid has 3 major goals: preserve life, prevent further injury, and promote recovery. The proper use of first aid knowledge and skills can save a life, alleviate the pain experienced by the patient, and reduce the time needed to recover from the injury or illness. 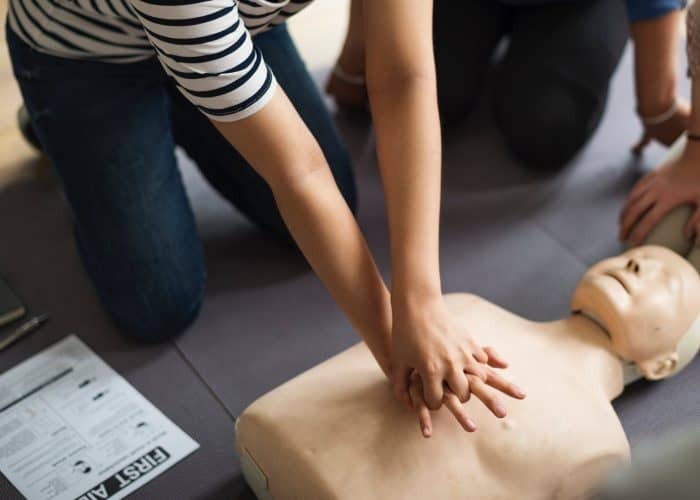 First aid is not limited to applying cardiopulmonary resuscitation (CPR); a first aid course covers many subjects such as using various first aid tools and techniques properly, responding to different types of medical emergencies, and even preventing and addressing workplace-specific injuries. There are many personal and professional benefits of learning first aid. Learning first aid allows you to identify the risks in your home or facility and take steps to reduce the danger they pose. Many injuries and illnesses take place at home or in the office, and knowing first aid skills and techniques allows you to help people— family, colleagues, or even strangers— in the event of a medical emergency. What’s more, knowing first aid can improve your employability in many industries and workplace settings, and taking a first aid class also earns you points for Continuing Professional Development. People who are interested in becoming a first aider should attend a training course and pass the assessment, which will earn them their Statement of Attainment. This certificate serves as a proof that they have completed a first aid module and are equipped with the skills and knowledge needed to properly administer first aid. Some Statement of Attainment have validity periods and must be updated regularly. 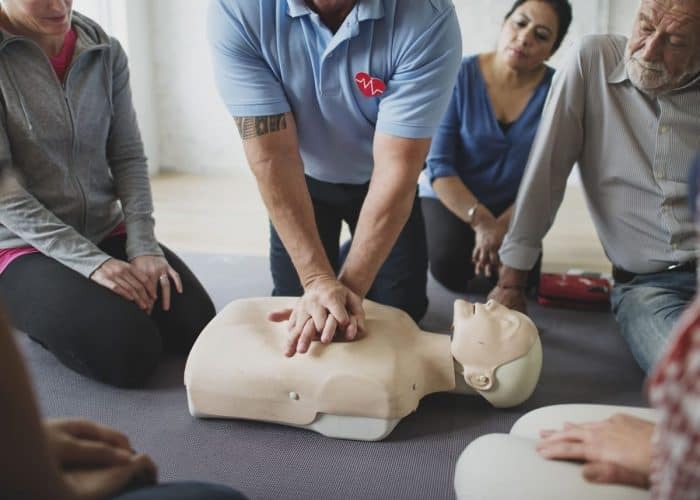 The first aid training offered by Australia Wide First Aid follows the guidelines set by the Australian and New Zealand Committee on Resuscitation (ANZCOR). We have 1-day courses held in convenient locations around Australia, plus we also offer fast-tracked courses that are designed to impart the same level of knowledge as a regular class without taking too much time. What are the First Aid Courses Offered in Capalaba? This 8-hour face-to-face course includes first aid response, life support, and casualty management. The fast-tracked version of this course, Express Provide First Aid, only takes 5 hours to complete. The online assessment for both courses takes about 8 hours. 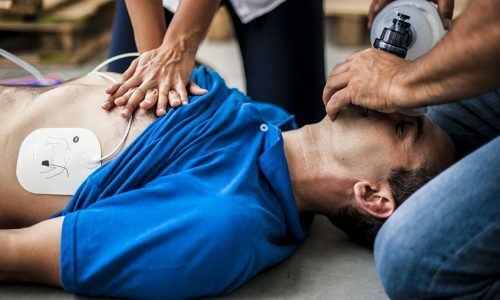 This course focuses on administering cardiopulmonary resuscitation and responding to medical emergencies that require CPR, like cardiac arrest and drowning. The regular course takes about 3 hours of face-to-face training while the Express CPR course can be completed in 2 hours. Both express and regular courses require 2.5 hours of pre-reading and assessment. 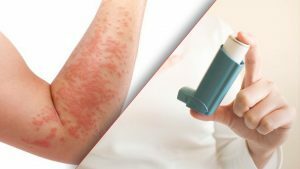 The Asthma and Anaphylaxis training course is a specialised 4-hour course on specific approaches to anaphylaxis management and emergency asthma training. This course is best suited to professionals working in education and care environments, such as teachers and day care centre workers. 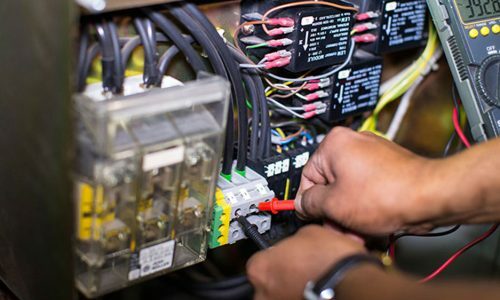 This 5-hour course tackles CPR training and rescue from a live low voltage panel. By the end of the course, students must be able to provide CPR, respond to an unconscious casualty, and communicate the details of the situation to emergency services. This 9-hour course teaches students how to perform CPR techniques on infants, children, and adults; assess emergency situations and provide first aid to various types of injuries; and manage medical conditions like shock and epilepsy. It has a fast-tracked version, Express Emergency First Aid, which only takes 6 hours of face-to-face training. Both express and regular courses require 8 hours of pre-reading and assessment. First aid students should be at least 14 years old to enrol in a class, and students younger than 18 years old need to present signed parental consent before attending the course. Each course is composed of 2 parts: online assessment and face-to-face training. The online assessment must be completed prior to attending the course, and the student must do this by 11:59pm the night before the face-to-face training. Also, fast-tracked students must show proof that it’s not their first time to take the course. Within 1 day of completing the training and assessment, the student will receive a pdf of their Statement of Attainment. Acquiring first aid know-how is a great step in improving your career prospects, helping your community, and ensuring the safety of your family and friends. For inquiries about first aid courses in Capalaba or any area near you, get in touch with Australia Wide First Aid through our contact page or by calling 1300 336 613.